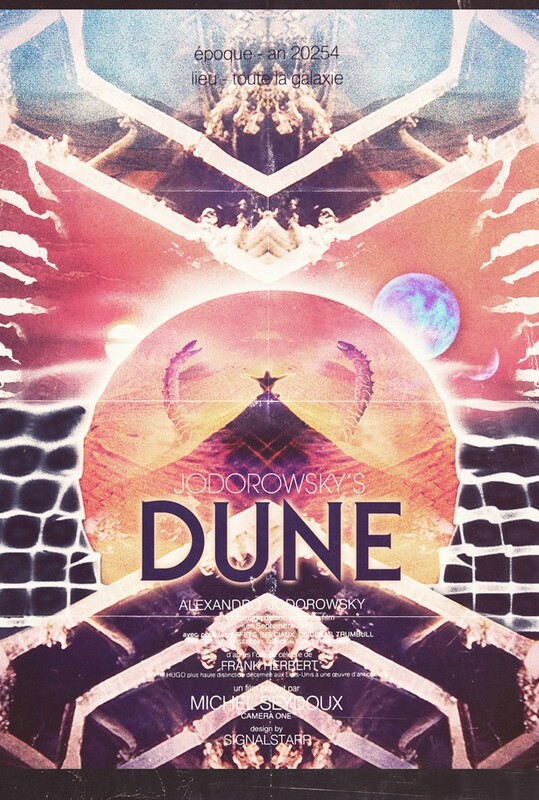 JODOROWSKY'S DUNE woulda been "a film that gives LSD hallucinations without LSD" says this trailer! JODOROWSKY'S DUNE would've been "a film that gives LSD hallucinations without LSD" according to this trailer! Yahoo has premiered the trailer for Frank Pavitch's, JODOROWSKY'S DUNE, and it gives you a glimpse at the tone and spirit of the marvelously engaging and revealing documentary. Jodorowsky's energy and evident enthusiasm for his work on DUNE is evident even in these quick glimpses (as well as his ambition "to change the young minds of all the world"). He admittedly never read the novel before he took on the project, but saw something in the story that connected to his own gonzo ideas of imperialism, family, and off-the-wall spectacle. People may not know just how far along the pre-production process actually got, and how much artwork and material was specifically created for this project. Getting a peek at Jodorowsky's extensive collection of DUNE artifacts (and memories) is one of the genuine pleasures of this doc, and this trailer definitely gives a taste of his, and his famous fans and collbaborators, ideas on what the project would've ended up being. Spoiler alert: Jodorowsky never once mentions sound-activated guns. JODOROWSKY'S DUNE finally makes its way into theaters on March 21st.